Mandalightful is a bright and colourful mandala. It is the perfect lap quilt or would look fabulous hanging on a wall. 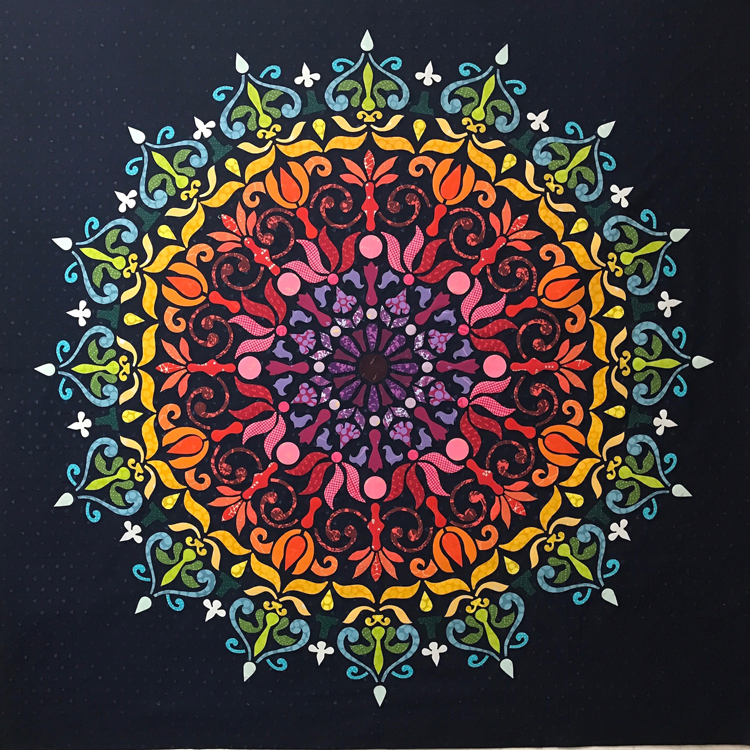 Lots of small appliqué pieces make up this mandala and would be the perfect use of your stash. Mixing and matching different brightly coloured fabric will give your mandala even more appeal. 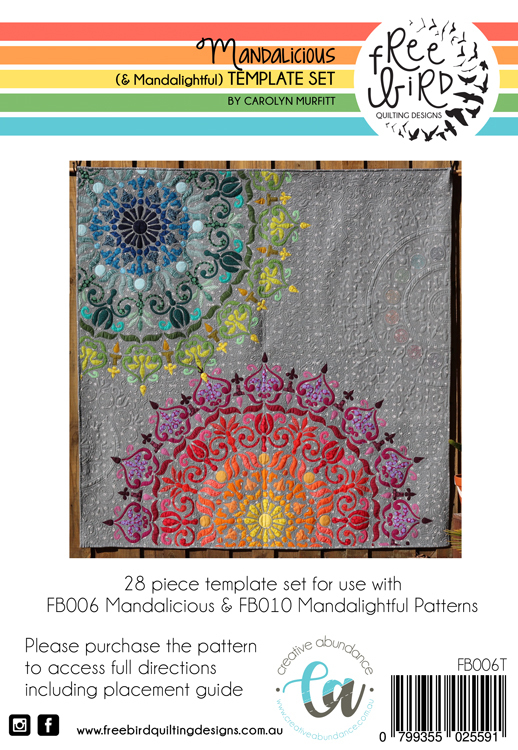 The Mandalicious/ Mandalightful acrylic template set can be used to complete both the mandalicious and Mandalightful patterns.